Just Jewelry Has Set a New Goal!!! 37,000 Plumpy'Nut® treatments by the end of the year! 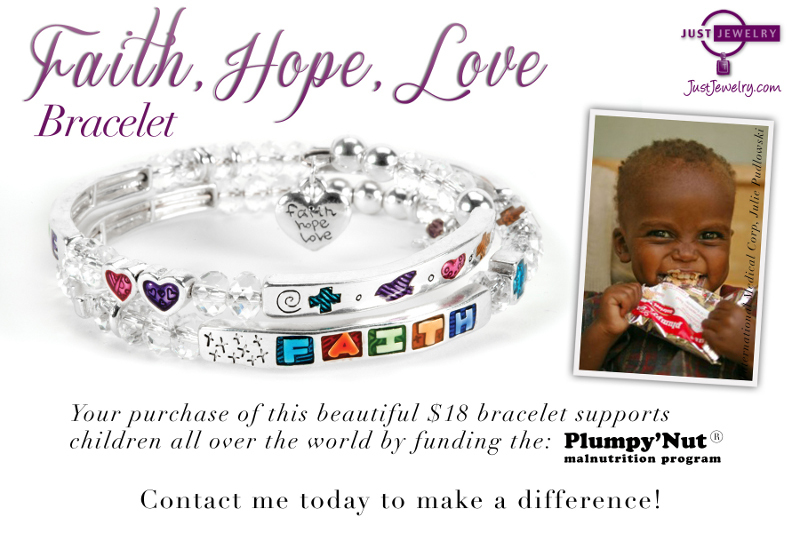 Help provide 2 of these treatments with YOUR purchase of this Faith, Hope, Love bracelet for just $18! Gather an order of 10 or more, and get yours FREE! !